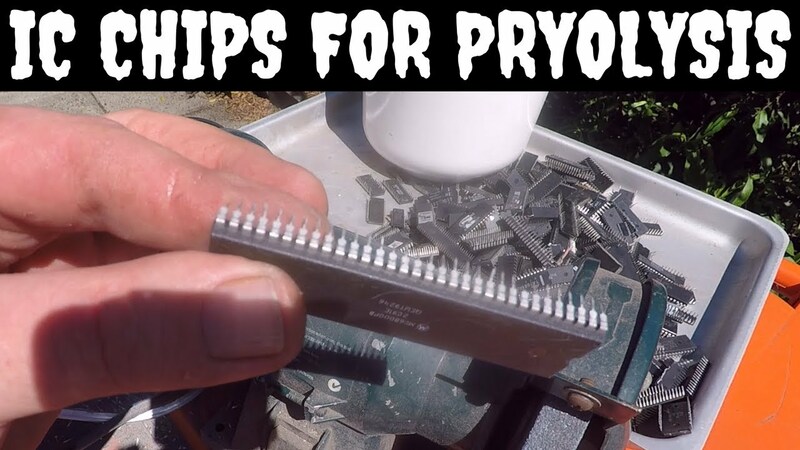 I've been grinding off the legs from IC Chips to prep them for pyrolysis, it probably doesn't make much difference but it's one of those jobs I like to do when I want to sit back. It will however save on HCL, reducing the waste product and concentrate the end material to a smaller volume for the next stage of processing. What do you guys think? worth the time? Ben, that is the general consensus. The more extraneous matter you can get rid of before you start with the relevant chemicals, the purer will be your end result. So yes Ben, well worth the time and effort. A couple of stubbies or six will certainly help pass the time. What's strange is the legs seem to be tinned copper, and plastic is plastic, but why can I pick most of the dust & legs with a magnet? Actually Ben they are quite a mixed bag. The low yield rectangular flatpacks with legs on two sides are generally magnetic so would suggest steel. I've just run a couple over my wheel, and there was absolutely no colour underneath. The foursided packs can be either or. some are steel legs and others are plated Cu. Ceramic eprom chips again differ, some gold plated steel other just steel. The eproms with the gold plated legs give 2-4 g per .5 k, whereas the common plastic flats with two sides of pins only give less than 1 g per .5 k.
The ones with pins on four sides, and the twosided chips from ram sticks give 1-4 g per .5 k.
What are very good are the south and north bridges. They give better than 5 g per .5 k. Of course ceramic CPU's are well sort after. But the best I can find are the ceramic CPU lids, gold plated, which will give up to 1 ozt per .5 k of gold platted old make lids. And OLD is the operative word in most electronic scrap as I'm sure you're aware, including communications gear. All times are GMT+10. This page was generated at 12:57 PM.